Derived from tourism promotion strategies, the incursion in new markets and the strengthening of air connectivity, the destinations of Quintana Roo are ready for an estimated occupation of 87.5 percent with the arrival of more than 1,270,000 thousand tourists during the Semana Santa and Easter Week holiday season. According to estimates from the State Tourism Secretariat (SEDETUR), in Quintana Roo an outlay of more than one billion dollars is expected during the period from April 13 to 28, which exceeds by 2.6 percent the economic spill of the previous year. 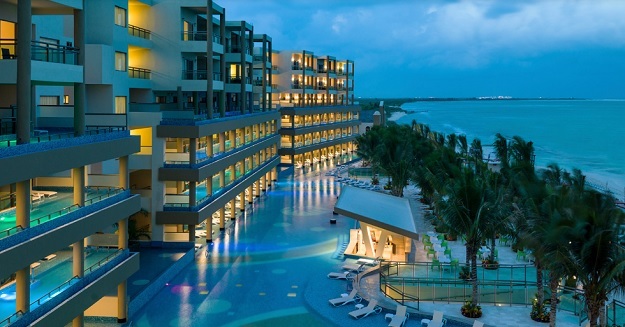 The Mexican Caribbean has an offer of 102,890 hotel rooms and more than 1,075 hotels, of which 35.5 percent correspond to the Five Star and Grand Tourism categories, in addition to three international airports, more than six million plane seats a year in North America alone and connections with more than 50 international airports. During the year of 2018, the state of Quintana Roo received more than 20 million visitors, which places tourism as the main economic activity for more than 450,000 families that depend on this productive sector in the state of Quintana Roo.